WE ARE PARTICIPATING IN JUNK JAUNT, SEPTEMBER 2017 with the EVANS CLAN !!! For information call: Don at 870-2426, Mike at 870-0906 or Jim at 870-0912, or stop in any afternoon and check out the great selection. 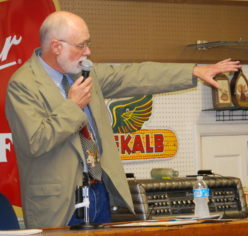 The next auction at the C Street Auction House will be October 19th at 6:00pm, conducted by Jim Christen Auctions. Previous Previous post: AUCTION: 6:00 pm, Thursday, August 17th, 2017!